WorldSSP champion makes debut along with GRT Yamaha outfit. Recently-crowned WorldSSP champion Sandro Cortese has experienced his first taste of Yamaha’s premier class contender in the Motul FIM Superbike World Championship (WorldSBK) following two days of testing this week in Jerez, Spain. 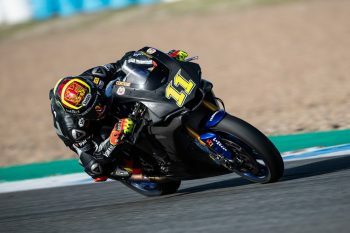 Cortese was joined by new teammate Marco Melandri in GRT Yamaha’s first appearance as WorldSBK squad, the German contender lodging the eighth fastest time as he begins to come to terms with the larger and more powerful motorcycle. 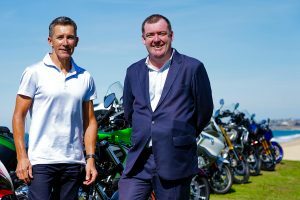 The number 11 dubbed the outing a ‘special experience’, acknowledging he faces a steep learning curve in his transition from the Supersport category. “I am really pleased with my first WorldSBK test with the new team and with the Yamaha YZF-R1,” said Cortese. 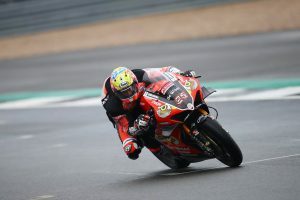 “It was a special experience for me because I’ve never raced a superbike before, but I think we made a big step over these two days and I now have a much better understanding of how to race this bike. GRT Yamaha will return to action early in 2019, with pre-season testing getting underway in Jerez on 23 January.